Somehow it’s 2019 and the NCAA is still hanging on to the “student-athlete” concept even though the entire universe knows that the system is broken. The organization’s latest attempt was this Twitter video that showed a “day in the life” of the student-athlete. It depicts a college student going to class, hanging out with friends, playing in the big game, and doing all the other amazing things that don’t go along with getting fairly compensated for his time. Since the NCAA missed the mark with a more accurate depiction in the life of a student-athlete, one such person went as far as making their own video to show what life in college is really like. 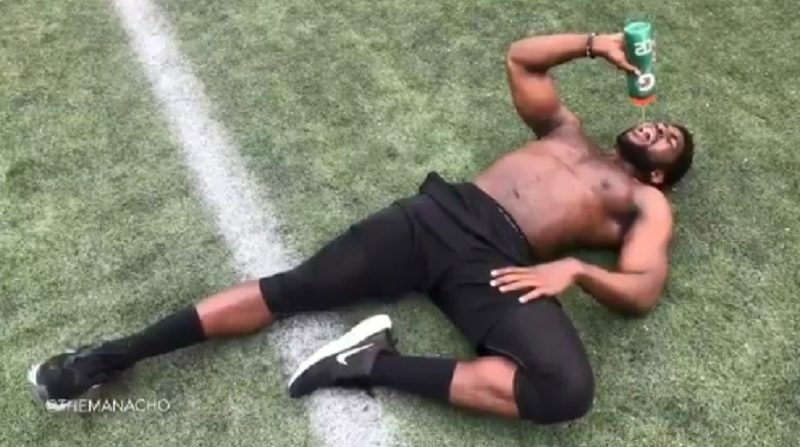 Former Texas linebacker Emmanuel Acho, who currently works as an analyst for ESPN and the Longhorn Network, put his own video on Twitter that depicts what the student-athlete lifestyle is really like. This looks a lot more exhausting than the official NCAA video! Who would have thunk it! Some fellow college and pro football players weighed in to endorse Acho’s version. Now that we’ve seen what it really looks like for top level student athletes that are having to balance professional-level athletic training with a college education, maybe now we can see the flip side. Can we please get a day in the life for all the rich kids that got fake athletic scholarships to game the system? That may be an even more enlightening look into the NCAA.